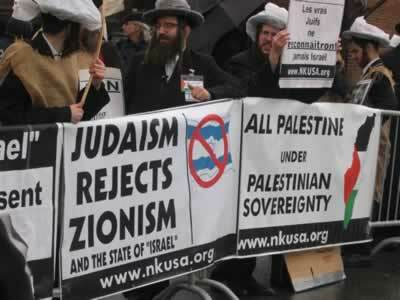 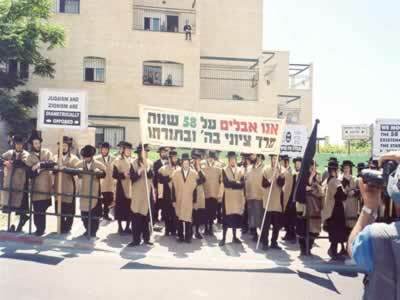 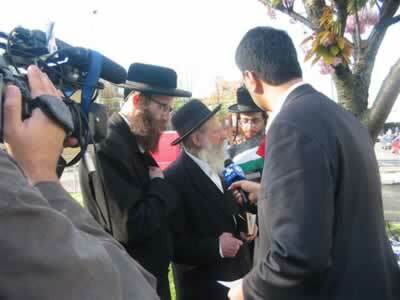 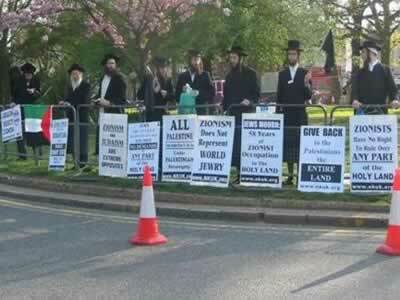 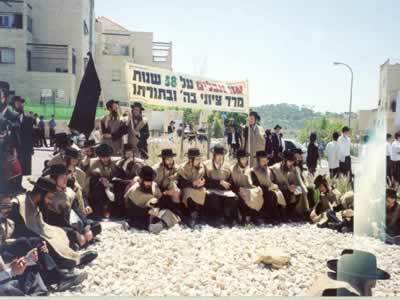 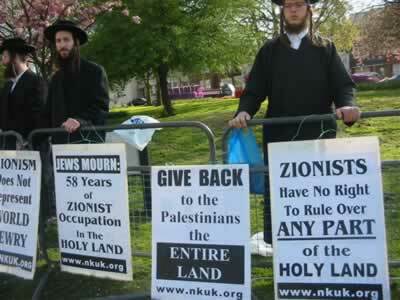 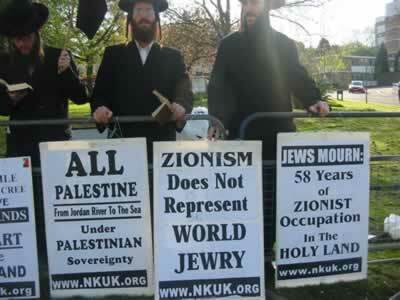 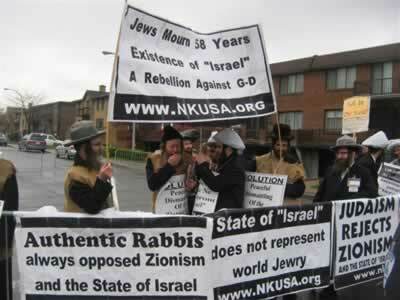 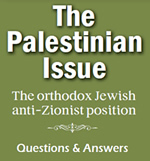 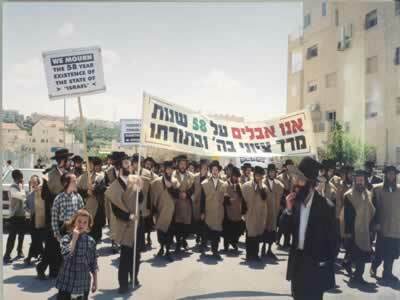 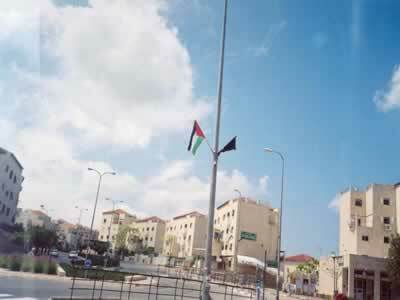 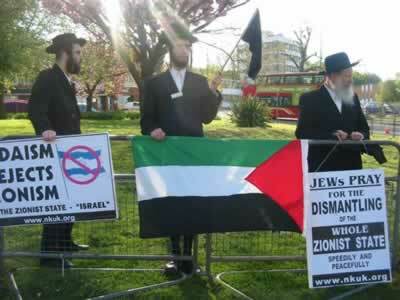 On Wednesday, May 3, 2006 on the 58th anniversary of the founding of the zionist state, the day known as "Israeli Independence Day", Orthodox Jews from many places gathered in demonstration to mourn, not celebrate, this bitter event which rebels against G-d and the teachings of the Torah. 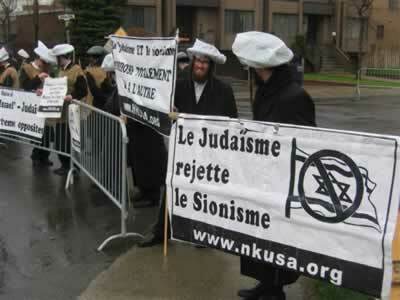 Their grief is expressed in the wearing of sack cloth and carrying black flags. 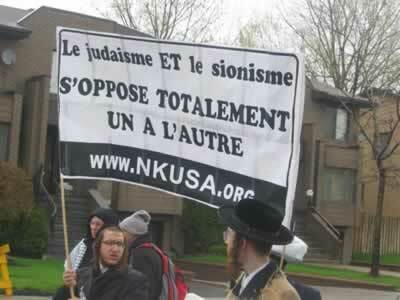 Demonstrations were held in New York, USA, Montreal, Canada, Bais Shemesh, the Holy Land, London, U.K. and elsewhere.